The Connecticut Women’s Hall of Fame pays tribute to Augusta Lewis Troup, a pioneering labor leader, journalist, educator, and suffragist. 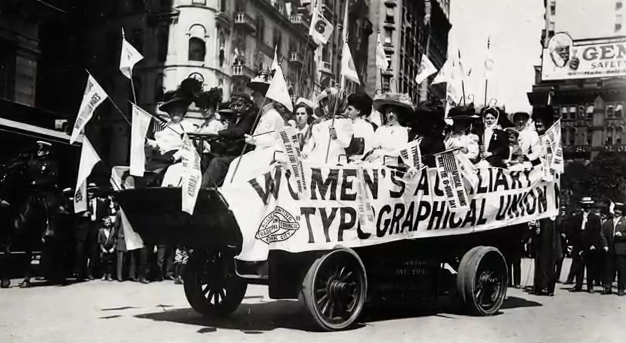 Devoting much of her life to fighting for better pay and working conditions for women, she founded the Women’s Typographical Union of New York to protect women’s interests within the industry. Augusta became the first woman to hold office in an international trade union, and upon moving to New Haven, helped to establish the New Haven Union, a daily newspaper that became a platform for her spirited advocacy on behalf of teachers and minorities. “Augusta Lewis Troup.” Connecticut Women’s Hall of Fame, 2017. Link. “Connecticut Women’s Hall of Fame,” 2017. Link.